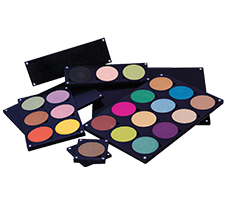 SAVE YOU THE TROUBLE: Still busy to clean the brushes before apply to next colors? This magic sponge will allow you to switch colors easily without the need of switching brushes. ENVIRONMENTAL FRIENDLY: Both sides of the sponge can be used. Wash with cleansing lotion and dry it for repeated use. HOW TO WORK: Simply glide the brush gently against the sponge surface to remove powder pigment thoroughly and instantly. Made of acticarbon scrubbing sponge which can effectively clean your brush without damaging it. 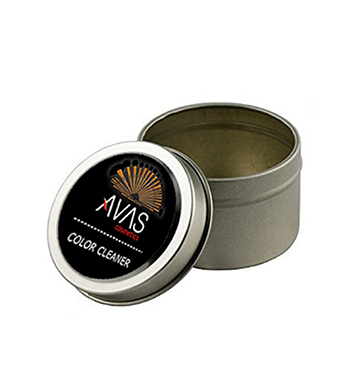 DURABLE CONTAINER: Made of quality metal with rush proofing coating. It is also compact and light in weight, easy to carry around. NOTE: Color: Black. Size: 82 X 30 mm.